How do I create a formative assessment or poll? 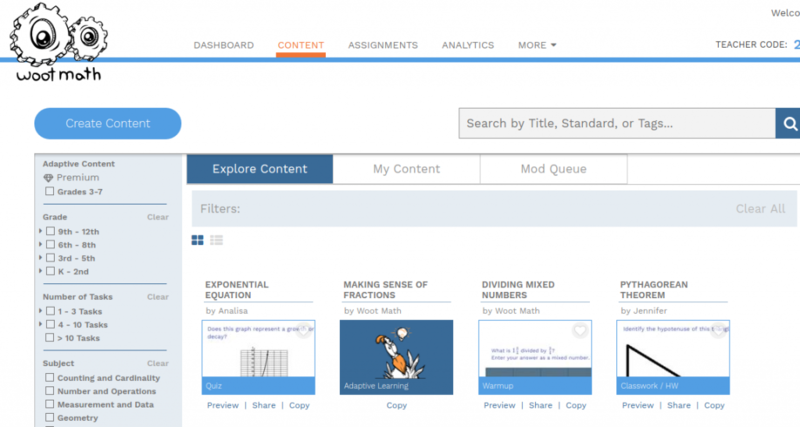 Click on the Content tab, and then click Create Content to get started making your own formative assessments. The next step is to add one or more questions. 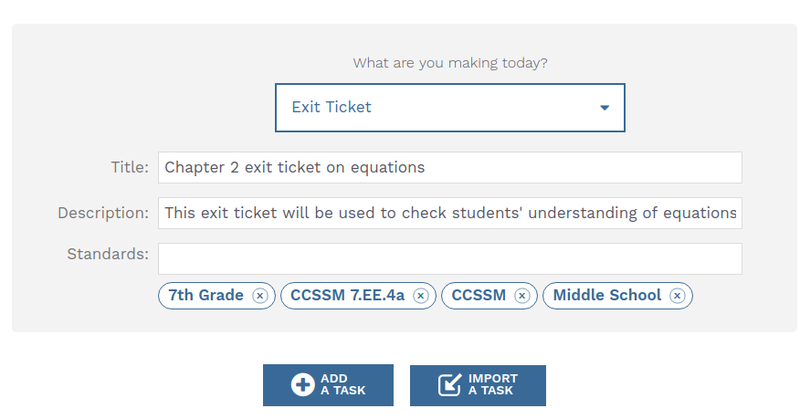 You can created your own questions by using the Add a Task button, or you can import a task from either other formative assessments you’ve created, or from the shared gallery others have created, by pressing the Import a Task button. 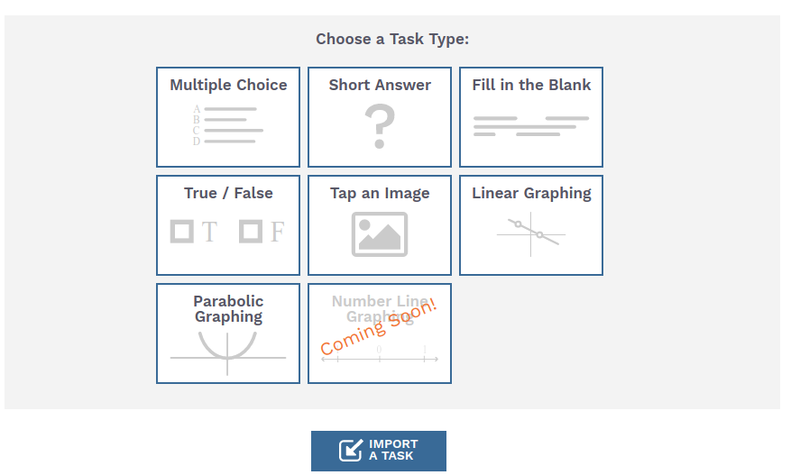 The various task types are defined in the Woot Math user guide under Create Content. After you have created your content, you can optionally share it with other teachers by pressing Public, share with the community. Get started creating your own today! PrevPreviousHow do I delete a class?